Staff | Charles E. Groff & Sons Moving & Storage Inc.
Les has worked for Charles E. Groff for over 20 years and took ownership of the company in 2008. 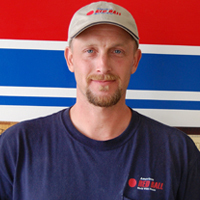 He spends the majority of his time visiting with customers and providing accurate estimates for moving jobs. Les enjoys meeting and talking with customers and has been in sales for most of his life. He is married and has a son. 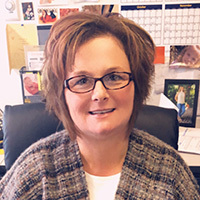 Stacey is the general manager for Groff's overseeing the day-to-day operations of the company. She has been with the company since May of 1999. Her and her late husband John have three beautiful daughters: Jenna, Amber & Emily and three of the sweetest grandchildren, Leaira, Layla and Logan. In her free time, she enjoys shopping at craft/antique shops and of course time spent with her family. 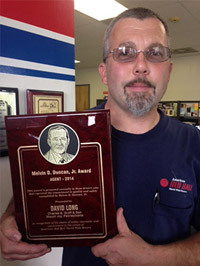 Dave has been with Charles E. Groff for 26 years, working as a crew leader and interstate driver. He has received a number of awards from American Red Ball including Driver of the Month and 250,000 Accident Free Miles. He recently received the Melvin D. Duncan Jr award from American Red Ball for his accomplishments, safe driving and service with American Red Ball for 2014. Dave enjoys meeting new people and traveling to different places. He is married to wife Vanessa and has 3 children - Trenton, Kaitlyn & Kelsey. In his spare time, Dave enjoys camping and 4-wheeling. 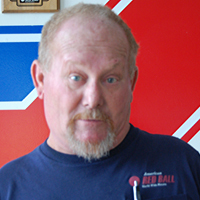 Terry has over 40 years in the moving and storage industry. Terry enjoys his job. In his time off, he loves being in the outdoors, taking walks, working on old cars & trucks and going to car shows. The best time spent is with his daughter Keyana and his two grandsons. When he is not with them or doing the things he enjoys you can usually find him in his chair resting. 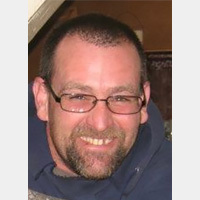 John was one of our drivers working with the company from August 2001 until his unexpected passing on May 21, 2018. John traveled all of the continental United States during his time with the company and was a key part of our interstate operations. John was an avid hunter and enjoyed restoring old farm tractors. He is survived by his wife Stacey and their three daughters and three grandchildren. Travis has been with Charles E. Groff for over 25 years, starting with the company right out of high school. Travis works as a crew leader on a variety of moving jobs. In his spare time, Travis likes to hunt. Steve has been with Charles E. Groff & Sons for 4 years. 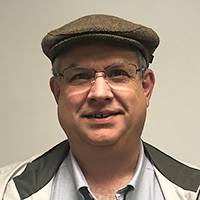 He is a crew leader and an interstate driver for Bekins. Steve enjoys hunting and fishing. He is married to Mandi and they have 3 beautiful children; Kylin, Tyson and Brycen. Earl has worked for Charles E. Groff & Sons Inc. for 17 years. He currently works as a mechanic in the shop. He likes being a mechanic because there is always something different to do each day. Earl is married to wife Judy and they have two daughters, Stacy and Stephanie, a son, Steve and 8 grandchildren - Jenna, Vicki, Amber, Emily, Blake, Summer and Jordan, 4 great-grandchildren Leaira, Autumn, Layla & Logan. In his free time he enjoys riding his Harley. 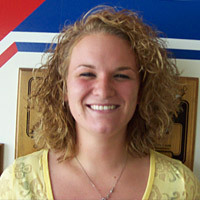 Jenna has been with Charles E. Groff & Sons Inc. for 5 years. She answers phones, filing, takes care of the garage, paperwork and occasionally works on moving crews. She enjoys working with the customers and employees. She and her fiancé Zach live in Elizabethtown with their children Layla and Logan. Jenna also has a 10 year old step daughter, Leaira, and the best puppy ever, Carson! 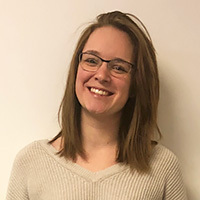 Keyana has been with Charles E. Groff & Sons since March 2018. She works in the office answering phones, getting paperwork together, and typing up the bills. She enjoys her job very much since she gets to work with family and it is never a boring day. She lives in Mount Joy with her boyfriend and two sons. She enjoys spending time with her kids, sewing and traveling.